NovoEd [June] Product Features: Updated! 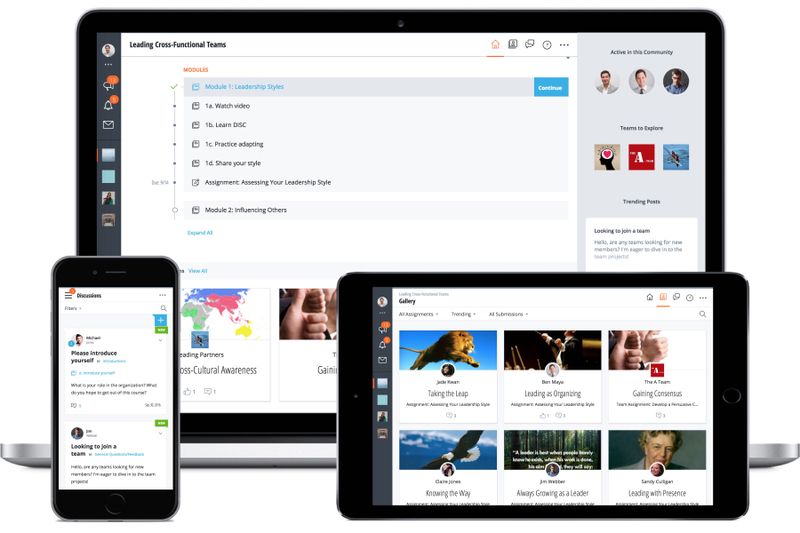 We’ve been hard at work redesigning and improving our learner experience, and this month, we’re proud to reveal new and improved NovoEd features! After analyzing our usage data, and iterating on the feedback we sought and received from our learners, we’ve implemented new features as well as improved on current features to create a more engaging and effective learning experience. Read on to learn more about these changes. We’ve added a new option to our assignment submission templates: Audio File Upload. This option will join rich text, video upload, picture, document, etc. as the newest input format. For all of you auditory learners out there, this is for you! 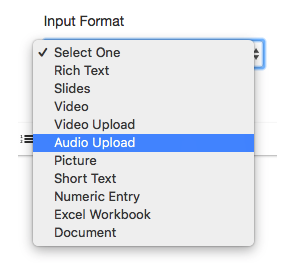 Audio files can now also be uploaded via the Rich Text Editor for embedding on lecture pages. Mp3 and M4a (from Apple devices) are supported across all devices and browsers. Please contact our Support Team at hello@novoed.com if you have any questions about this! Interested in a more rigorous assessment method than quizzes? Our new Timed Exams feature deepens the criteria required to measure a learner’s progress. Unlike quizzes, timed exams set a specific time-limit during which learners are able to take the assessment. This will truly test your learners retention of the content, as well as urge them to finish the course promptly instead of dragging it on. Public Commenting (Informal Feedback) Now Available in Self-Paced Courses, Too! We’re excited to announce that our Public Commenting feedback feature is now not only available in live courses, but also available in our self-paced course offerings! 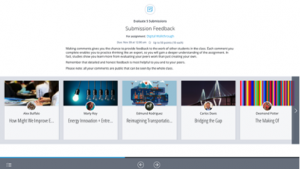 Learners now have the freedom to provide peer-feedback at any time during the course. And we know you know how valuable peer-feedback is, because you’ve definitely read about it here. Regulation such as GDPR require showing privacy information to users and notifying them of changes. In light of the recent GDPR updates, we’ve also revised our GDPR policy to reflect these changes. You can read more about it here. And that’s it! We hope you’ve enjoyed reading about NovoEd’s feature updates, and if all of these features sound promising to you, experience the platform in NovoEd’s free LXD course by signing up here. We hope to see you there!